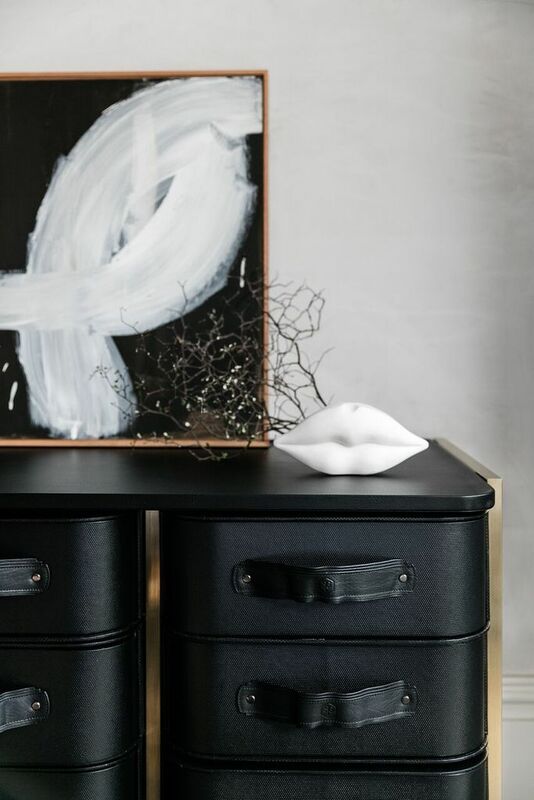 THE SANTIAGO LUXE Storage Stand. Inspired by the classic Louis Vuitton steamer trunk, this limited edition piece is designed with a commitment to luxury and longevity in mind. 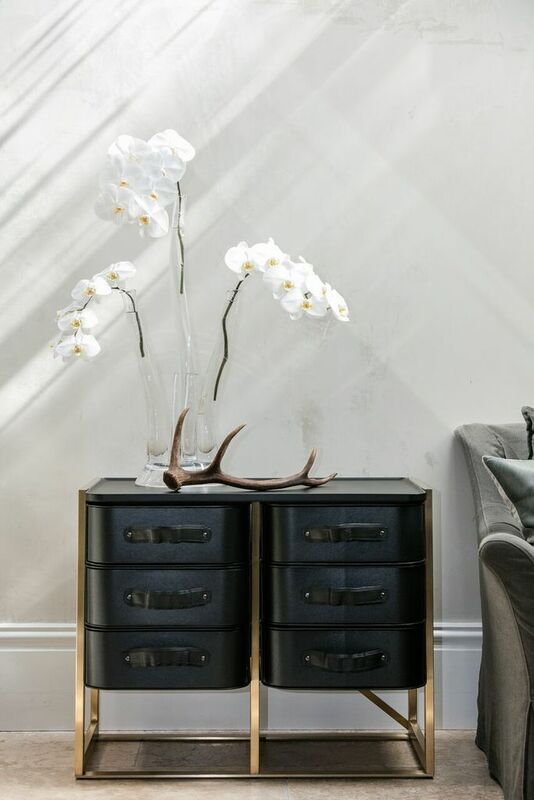 Beautifully crafted from quality materials, our re-imagined medium box storage stand features a brass electroplated stainless steel frame and stunning leather top. 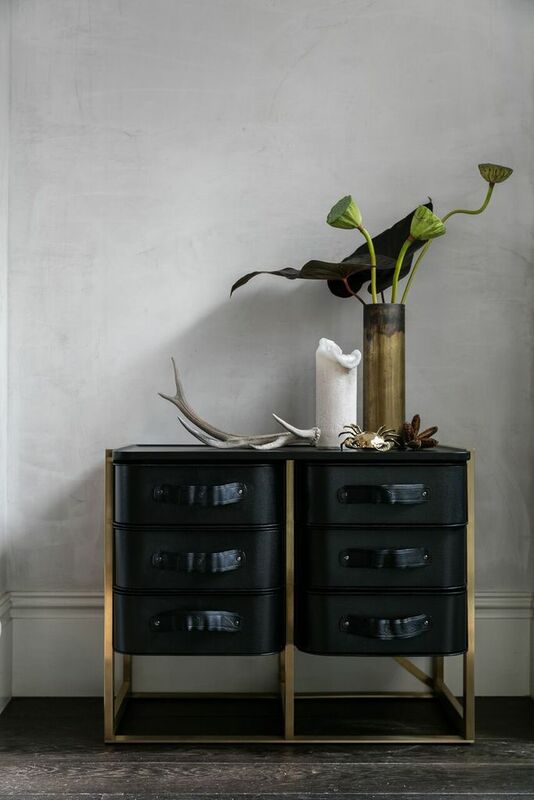 With space for six generous drawers, The Santiago Luxe will hold everything from shoes and scarves to stationery and is sure to steal the show in any room. 700 x 860 x 550mm Brass coated Stainless Steel stand with black leather top. Holds 6 of our Medium boxes Fully Assembled.